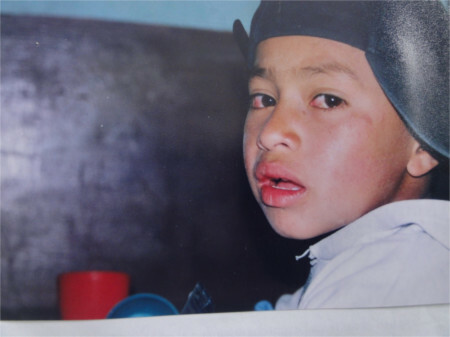 Jhonatan started coming to the Foundation’s Children’s Center when he was six years old. When the staff visited his home, they found him alone and locked up the entire day. Neighbors told us that he was sometimes alone the entire night. He has problems speaking and hearing. His mother was a street vendor, selling candy and his father mainly drank and took drugs and didn’t support his family at all. They lived in a adobe room with a dirt floor. There was no running water and they had to use a communal bathroom. Jonathan suffered from violence in his family. The Foundation worked a lot with the family and convinced them to send their son to the Center instead of locking him up. Slowly the situation improved. The parents received guidance about the Good Treatment of children and the importance of Jhonatan’s health. Thanks to a scholarship he was able to attend the elementary school, as well as receive support for his health, nutrition, and orthodontic treatments. The Foundation also got a hearing aid for him. However, he only finished third grade, because he didn’t want to study and there was no money to send him to a specialized school. When he is eleven years old, Jhonatan started coming to the Refugio de los Sueños. He learns about baking and woodworking. The Refugio helped him to obtain the disability certificate, and paid him to work in the Refugio’s bakery. 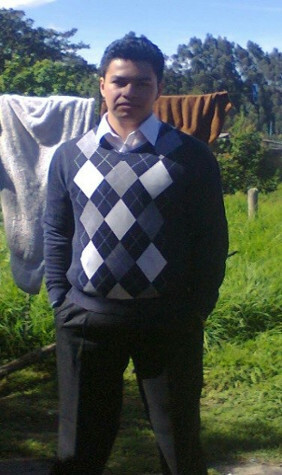 Later the family moved to a different part of town and Jhonatan was able to get a job. Currently he works as a cleaner for the public transportation, where he is respected by his coworkers. As a child, he always had difficulties with his hearing (he didn’t like using his hearing aid a lot), he was very affectionate and cooperative, and loved to play soccer and to dance. Today, he supports his mother and sister, is respectful and still affectionate and would now like to continue his studies.